You might be surprised to learn that getting your car ready for the summer months is just as important as preparing for the winter. The summer season comes with just as many harsh elements that your car has to contend with on all of your adventures. The heat puts excess strain on your air conditioning and engine cooling systems, but you can mitigate those demands with preventative maintenance and repairs. Start your preparations by scheduling a seasonal car inspection to make sure your car is ready to take on the summer elements and move on to the fall unscathed. You can also follow our helpful tips to prepare your car for summer. In addition to lubricating all moving parts, the fluids in your engine, transmission, and differential systems help cool the components to prevent excessive wear and tear. The fluid’s ability to properly cool and lubricate depends on your commitment to keeping it topped off at all times. Therefore, it is important to inspect and top off the fluids in your vehicle to prepare for the summer heat. If your vehicle is due for filter and fluid replacement services, skip this step and simply bring your vehicle into the auto shop for preventative auto maintenance. All of the road salt spread across paved surfaces in the winter months can wreak havoc on your vehicle’s metal parts. Before the summer heat waves begin, you should get your car washed to get these salts off of your vehicle. You should wash the body of your car along with the undercarriage while inspecting all of the parts along the way. If the undercarriage shows bare spots in the finish, talk to your auto technician about refinishing services to get everything as good as new! Be sure to inspect the integrity of your windshield wipers after washing your vehicle from top to bottom. Dense ice and road salt flung up onto the windscreen can damage your windshield wipers by degrading the rubber material. As a result, you need to look for signs that the rubber is starting to break down, such as missing chunks or deep cracks. If you notice problems, come into the shop for replacement wipers. Winter weather puts immense stress on your brakes and tires. That means it’s always a good idea to have them both inspected at the end of the season. If you haven’t had your brakes looked over by a professional yet, then you should schedule a seasonal inspection before it’s in full swing. Your auto technician will determine the quality of your brakes and tires and help you decide if it’s a good time for a replacement. This way you can stay safe on your vacations or road trips! The performance of your engine and air conditioning directly depend on the condition of your cooling system. You can keep your cooling system in top condition by having the fluids flushed out and refilled regularly. Your technician will also inspect your vehicle for worn or damaged parts that require replacement to optimize the peak efficiency of your cooling system. Make sure to perform all maintenance and repair requests to avoid overheating your engine or your passengers during your summer drives. 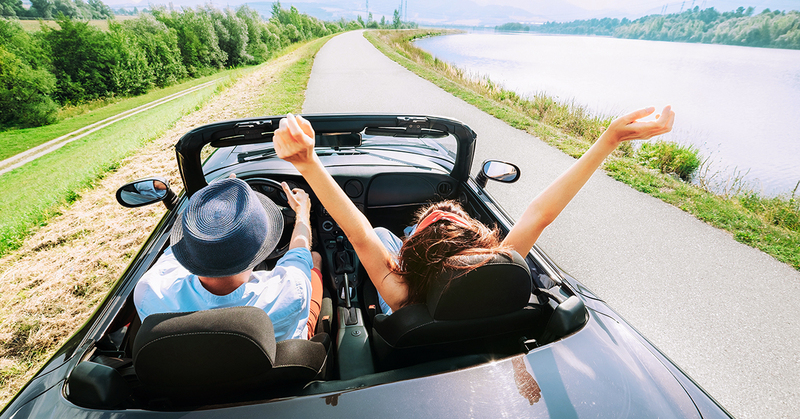 Are you ready to make sure your car is set for the summer? Contact the team at Wheeling Auto Center today by calling (847) 979-5349 or visiting us online. We will perform all essential maintenance and repair services required for the complete care of your car, truck or SUV. Our team knows what it takes to get vehicles ready for your summer travels, so schedule your appointment to see how we can help.